North Shore Home Affordability on the Decline- Why NOW is an Ideal Time to Buy! Buying a home on Chicago’s North Shore this fall can be an exciting time as you dream of settling into your new abode in Winnetka, Glencoe, Northbrook, Highland Park, Deerfield, or any of the other charming North Shore communities. It can also be the ideal time to jump in to the North Shore Real Estate market! Oftentimes, sellers are eager to get their home sold before the holiday season hits, and so are more willing to work with buyers’ needs as far as closing dates and costs. If you are considering buying a North Shore home this fall, there’s something you’ll want to be aware of before you begin your search. The nation is seeing a decline in affordability. The North Shore saw a leap in sales figures of homes sold in the month of June. Across Illinois, home sales increased 14.9% over previous-year levels in June and median prices increased 9.7%. These figures show that the housing market is continuing its resurgence and marks the 24 consecutive months of year-over-year sales increases in the North Shore- Chicago area. So, what determines a homes’ affordability? 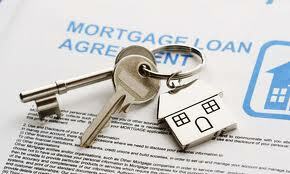 The two major factors are listing price and mortgage rates. As we’ve seen this year, the demand has been greater than the supply, which is allowing sellers to raise the price of their home. Home prices are on the rise throughout the North Shore and across the country. While this is a good sign of a healing real estate market, it makes competition between buyers a little more stiff. You may have to be prepared to pay a little more on a home you love to avoid being outbid. The second factor is mortgage rates. Even if home prices do eventually level out, the rise in mortgage rates doesn’t appear to be slowing down anytime soon. A recent report from a Freddie Mac Primary Mortgage Market Survey noted interest rates on 30 year fixed rate loans were at record lows at 3.5 percent at this time last year and even went as low as 3.31 percent last November. These historic lows, however, have recently started to climb and have jumped up to more than 4.5 percent, which hasn’t been seen in over two years! The survey went on to point out that at the end of June of this year, rates jumped almost .5 percent which posed the largest week-over-week increase in more than a quarter century. If you’ve been casually looking at North Shore homes online, you may want to consider taking the plunge sooner rather than later! As a North Shore Real Estate agent, I would be happy to sit down and talk with you about your real estate needs, timeline and budget. There are a number of beautiful homes on the North Shore Real Estate market and I would love to help you find the home of your dreams! Don't Miss These Events This Weekend in Highland Park! One of the things I love about working as a North Shore Real Estate agent is being able to share with buyers and those relocating to the area about the great communities that make up Chicago’s North Shore! 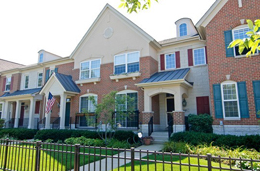 I’ve worked in the cities of Northbrook, Highland Park, Deerfield, Glencoe and Winnetka for a number of years and enjoy highlighting the unique aspects of each community! Today, I wanted to take time to showcase charming Highland Park. Incorporated in 1869, Highland Park began as a community of merely 500 residents. Since then, the city has grown into a thriving area with a diverse population, great education, strong businesses and a wide variety of things to do year round! In fact, I want to invite you to join in on a few events taking place this weekend in Highland Park! Whether you’re a current resident, or you’re interested in learning more about the Highland Park lifestyle; you’ll be sure to enjoy these festivities! - The 7th Annual Taste of Highland Park will kick off this Friday at 5pm in downtown Highland Park and will run consecutively with the Port Clinton Art Festival! This is a great way to enjoy local, notable restaurants and the mouthwatering food they have to offer. In addition to the tasty fare, festival-goers will enjoy a variety of live musical performances from acclaimed bands and performers throughout the weekend! Visit the Highland Park website for more information. - Celebrating its 30th season, this nationally renown arts festival brings in over 250,000 art enthusiasts each year along with 260 distinguished artists from around the world! The Port Clinton Art Festival is nationally recognized as one of the most successful juried art festivals in the country! Exceptional artwork of all mediums is available at the festival, including ceramics, drawings, furniture, glass, jewlery, metal, paintings, photography and wood. In addition to the juried artists exhibiting, the festival hosts a youth art division, which offers young artists, ages 18 and under, an opportunity to participate in one of the finest art festivals in the country. 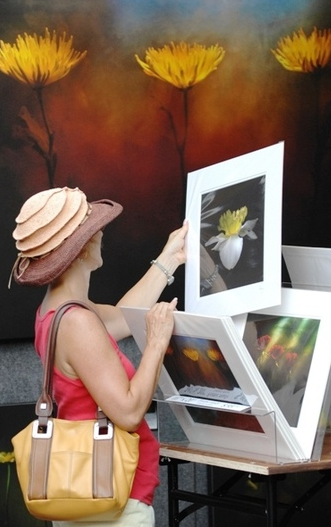 Throughout the weekend festival-goers will enjoy art activities for kids, including an art scavenger hunt and spin art, interactive art demos, performance speed painting, and, of course, original artwork offered by master artists from around the world! Learn more about the Port Clinton Art Festival on their website. Whether you live in Highland Park or not, I hope you find your way to these fun events! If you’d like to learn more about living in Highland Park, or are ready to begin your Highland Park home search, please feel free to contact me today! As summer winds down, there are many who find themselves thinking about buying a home on the North Shore. Whether they’re hoping to finally move into their dream home, or are a first time buyer looking to purchase in Winnetka, Northbrook, Highland Park, Deerfield or Glencoe; there are a number of properties on the North Shore market from which to choose! If you’re a first time home buyer, or hoping to downsize in your next home purchase, you may be considering buying a condo or townhome. As a North Shore Real Estate agent, I’ve worked with many buyers who were searching for condo living and they have been completely pleased with their new lifestyle! It’s important to note that there are a few major differences when it comes to choosing between a home or a condo. Oftentimes people consider the issue of space and whether or not they’d like a larger home or a cozier condo. However, there are a few other aspects you’ll want to look at when making your final decision. 1. Location- Whether you’re looking at a home or a condo, the first item on your list of decision will be where you want to live. This is more than just choosing the town in which you want to settle down. If you like the thought of living more in the middle of one of the North Shore’s quaint downtown areas, chances are you’ll find more condos. If, however, you’re searching for more of a neighborhood feel, homes will be more prevalent. 2. Privacy- If you don’t mind bumping into neighbors more often or sharing an outdoor space, a condo could be perfect for you! However, if you want a yard all to yourself and lots of privacy, you’ll want to look at single family homes. 3. Responsibility- Condos can be ideal for those not wanting to worry about trash removal or lawn care, which are typically covered by an HOA fee. However, with condo living, there can oftentimes be strict rules about updates you’d like to do or other items involving your space. A single family home comes with freedom of making whatever choices you’d like, but all repairs, maintenance, etc... are on your responsibility. 4. Budget- Determining how much you’d like to spend on a property can be the determining factor between home or condo living. Typically, condos are less expensive and move in ready while finding an affordable home could mean updates are needed. You’ll want to carefully consider your budget and ensure you’re not getting in over your head. I hope these points give you further insight into the decision between condo or single family home living. If you have further questions, I would be happy to talk with you more! There are a number of beautiful homes and condos currently available on the North Shore and I would be happy to show them to you! Contact me today to get started! Highland Park Active Listings: There are a total of 225 properties actively on the market with the average price of $1,190,123 in Highland Park. Highland Park Sold Listings: 58 properties closed last month in Highland Park with an average sales price of $589,296, the average time on market for these properties was 102 days. Winnetka Active Listings: There are a total of 111 properties actively on the market with the average price of $2,553,284 in Winnetka. Winnetka Sold Listings: 38 properties closed last month in Winnetka with an average sales price of $1,014,289, the average time on market for these properties was 39 days. Northbrook Active Listings: There are a total of 192 properties actively on the market with the average price of $684,451 in Northbrook. Northbrook Sold Listings: 68 properties closed last month in Northbrook with an average sales price of $443,039, the average time on market for these properties was 35 days. Glencoe Active Listings: There are a total of 74 properties actively on the market with the average price of $1652,443 in Glencoe. Glencoe Sold Listings: 21 properties closed last month in Glencoe with an average sales price of $1,269,476, the average time on market for these properties was 65 days. Deerfield Active Listings: There are a total of 95 properties actively on the market with the average price of $669,844 in Deerfield. Deerfield Sold Listings: 52 properties closed last month in Deerfield with an average sales price of $404,719, the average time on market for these properties was 49 days.